Participating fellows are selected through a highly competitive application process that considers GPA, relative extracurricular involvement, and a 700 word essay that speaks to their interest in the program. The following blog articles have been written by past and present UConn@COP fellows, faculty, and staff, as well as by students who have attended events recapping the UConn@COP experience on campus. Editor’s note: Many similar themes were discussed at the COP, but some of our fellows took note of less talked about topics. Climate change has links to so many different disciplines, and the blogs below serve as a reminder to consider how deeply the environment is integrated into our lives. The daily Breakfast Club sessions hosted during COP gave everyone involved an opportunity to reflect on, and talk through, their experiences as a group. A number of topics frequently made their way into the conversations, but I didn’t expect religion to be one of them. It only made a short appearance in the discussions, but it prompted me to consider a new aspect of climate change. I was raised in the church, but I never considered its role in climate change. During one of our morning discussion group sessions, referred to as the Breakfast Club, some expressed their views of Christianity as “scary” or “worrisome.” It’s true. The media fills our news with stories of religious zealots protesting human rights issues and rejecting sound science. But this is not a fair representation of the church. For most, church is a place where individuals can gather to express their gratitude, find comfort during times of trouble, and help others in need. I spent the one hour bus ride from our hotel in Krakow to the COP24 venue pondering all these ideas, desperately trying to put together one clear thought. One of the cornerstones of the Christian faith is humanitarian work. While each church has its own specific goals, all efforts are based in service and compassion for others. This is where we find our link between science and faith. Science is scary, and climate change is an abstract topic. But as the Earth continues to warm and the effects of climate change take hold, lives will be at risk, and humanitarian action will be more important than ever. Upon arrival at the venue, I decided to explore and ended up running into the Episcopal delegation. It was as if it were divine intervention. As a member of the Episcopal Church, I was excited to learn that my denomination has sent a delegation to the COP since 2014. They, along with other religious institutions, are steadfast in their dedication to the environment and its people. Representatives attend these conferences in the hopes of staying informed and learning what can be done to support the efforts against climate change. They understand how complex the issues are, but remain focused on outreach. It makes me proud to see my church, amongst others, participating in international discussions on climate change. But there are still a number of religious groups who haven’t made the link between climate change and the humanitarian mission of Christianity. My hope is to see more communities of faith embracing climate science. But even if they don’t, I hope that they continue to service those in need. You don’t have to understand the science in order to recognize the need. At the end of the day, people are going to be affected by climate change and I’m excited to see the intersection between its effects and the church’s humanitarian work further develop. Writers note: I do not mean to speak for other members of the Christian faith. These views are my personal beliefs, influenced by my knowledge and experience. 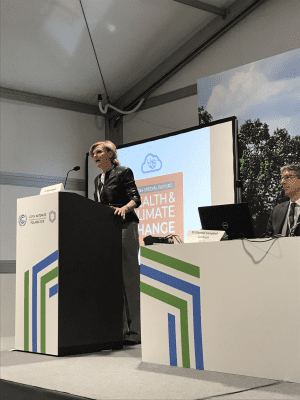 In the beginning of the week at COP24, I attended the Climate Hub side events. These events were much more intimate than the actual conference and open to the public. Unlike the official COP, with thousands of people streaming in and out of concurrent panel discussions, negotiating sessions and countless national pavilions or NGO-sponsored exhibits and booths, the Climate Hub held just one workshop, presentation or panel discussion on the hour. At first, I was worried that I would not be able to reap the same benefits from participating in this kind of side event as I would from attending the official events inside the conference venue. However, though different, I got an equally fulfilling experience that pushed me outside of my comfort zone in ways the COP events wouldn’t have. However, as we kept drawing, I began to appreciate the benefits of this activity. As someone who has always been passionate about environmental issues, I rarely think about how the destruction of the environment actually affects my body and makes me feel. Drawing out my emotions, I was forced to think about these unsettling feelings and internalize them. I started getting emotional myself – as I expressed these feelings, I found that it relieved a lot of internal stress about the environment that I was holding onto. We ended the activity by holding hands and having a brief meditation where we were encouraged to think about climate justice and how connecting with each other and our bodies is vital to creating climate change solutions. This moment was extremely powerful. People from across the world joined together and embraced the fact that we are all affected by climate issues and that we can use our emotions as fuel to make sustainable change. Though all of us in the Climate Hub were from different places, the similarities that we felt were eye-opening. What I originally thought would be a mindless activity opened me up and inspired me to follow my passion to make change. Editor’s Note: During the conference, some of our fellows found themselves overwhelmed by climate change. But despite the feeling of hopelessness, countries have banded together to mitigate the problem. This worldwide cooperation inspires hope for the future and has acted as a source of empowerment for many of our COP fellows. The following blogs detail the emotional journey that many of our fellows experienced. 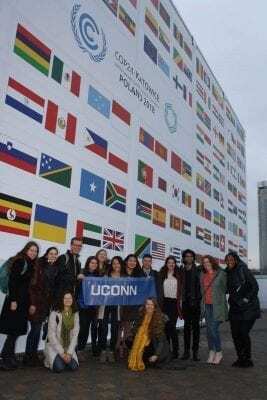 The UConn@COP program takes students like me to the UN’s annual Climate Summit and Conference of the Parties (COP) with the expectation that we’ll share our experiences with others in the UConn community and beyond. It’s great for us fellows to have witnessed the conference in action, but we magnify the value of our participation in the COP by communicating what we experienced with as many people as possible upon returning home. I wanted to come home with some motivational and insightful comments about what we can do to slow down climate change. I took notes and intended to distill one week of meetings, speeches, and demonstrations into just the highlights. When it comes to climate change, we have to emphasize the good or else we risk being overwhelmed by all of the bad news. After re-evaluating how I communicated about my experience with friends, I realized that there were also several parts of COP24 that gave me hope. Greta Thunberg, a 15-year-old activist from Sweden, is inspiring young people to speak up. Every Friday, she skips school to protest outside of the Swedish Parliament. Her initial goal was for Sweden to reduce its emissions to be in line with the Paris Agreement, but COP24 gave her a platform to call for global action to limit the planet’s warming. NGOs were well-represented, which stresses the idea we don’t have to rely solely on our national governments to implement change. Groups interested in energy, human rights, religion, law, rainforest preservation, and much more, championed their causes. Interacting with representatives from all of these different NGOs showed me that if you’re passionate about something, there’s a way to link it to the environment. Climate change is everyone’s problem. During the last panel I attended, a speaker asked, “If we can’t change small things, how will we change big things?” That was a perfect note to end on because, on the way home, we reflected on the conference and talked about how UConn is still committed to achieving aggressive climate goals for the campus, despite the U.S. pulling out of the Paris Climate Agreement. The University aims to be a carbon neutral campus by 2050, and factors such as energy efficiency projects and LEED-certified buildings are helping us stay on track for our 2020 interim goal of a 20% reduction in carbon emissions from a 2007 baseline. We aren’t sustainable yet, but we are a leader among college campuses and I am so proud to be part of that. I would describe my experience at COP24 in three words: insightful, frustrating, and hopeful. I was able to attend the plenary session for the Talanoa Dialogue which had representatives from all of the countries, providing their remarks in support for the new platform. Across all of the 2-5 minute statements, every country stressed that the IPCC 1.5˚ report must be at the heart of these discussions because of its emphasis on the need for urgent and ambitious action. The underlying message was that we had enough discussions three years after the Paris Agreement. It is time to commit to action because we’re on a catastrophic trajectory towards a global warming of 3.0˚C. While our UConn cohort was only present during the first week of COP, as the policy making decisions happened the following week, I left the conference feeling frustrated. 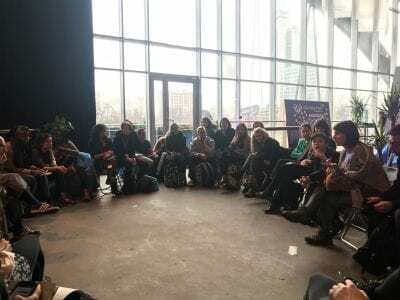 COP’s events schedule was filled with panels discussing critical issues such as the intersection of gender, feminism, poverty, and climate change and bringing in representatives from indigenous populations to speak. However, these events were only considered “side events”. It seems odd that even though COP24’s theme was to promote storytelling, these voices were not a part of formal negotiations. On one of the bus rides, I met a Portuguese conference attendee who said that Poland heightened its security in preparation for the conference and subjected all protestors to jail if they started any unapproved riots. Poland’s law basically negates the meaning of the Talanoa Dialogue. At one of our pre-trip meetings back at UConn, we watched a video of protestors disrupting Trump’s “Coal for Climate” meeting at COP23. But COP24 didn’t allow for these diverse and plural voices to be heard. In fact, the Young Feminist for Climate Justice group had to get permission to host and schedule a march during the conference. How are we supposed to make change if the conference is censoring protests? This essentially creates yet another barrier for the voices of activists and non-governmental organizations to actually be included in climate negotiations. The headlines that I have read about the results of COP24 focus on the “insufficient action” and “morally unacceptable” outcomes which were “totally inadequate.” The guidelines didn’t propose any immediate action towards getting on a low-carbon pathway by 2020. I’m unsatisfied with the outcome of COP24 but I haven’t lost hope. I met someone at the Climate Hub, who was a member of the Conference of Youth, and we discussed the US’s recent political climate. When I told him how dismayed I am about how rapidly our country’s politics are regressing, he mentioned that it is almost better to have the person in our current administration because it sparked a surge of diverse voices who want to spearhead change. This is analogous to COP24’s outcomes and the fight for climate change. The lack of action only lights the fire for young climate activists to hold the government accountable for avoiding a climate catastrophe. Greta Thunberg, the feisty 15 year-old Swedish climate activist, sure is not going to stop calling out political leaders for failing to make climate change higher on their agenda. People are not going to stop telling their stories but rather they’ll just raise their voices. In the words of the Fiji Climate Champion for COP23, Minister Inia Seruiratu, “Are we like the people dancing on the titanic while the ship was sinking? We should not be so patient.” At COP24, I learned that we can no longer leave climate change in the hands of the government. It’s everyone’s responsibility to start demanding and taking ambitious action. 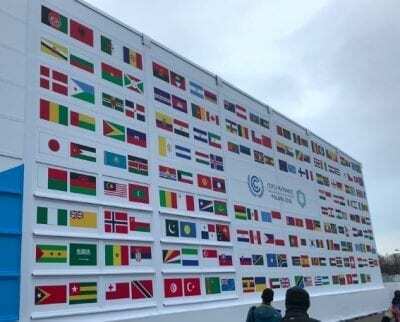 COP24 yielded immense frustration with the status of global climate action. The current course of climate change mitigation, if continued, is on pace to put the 2 degree Celsius warming goal from Paris out of reach by 2030. The United States conducted a side event promoting coal and other fossil fuels and also partnered with Russia, Saudi Arabia, and Kuwait to blunt the acceptance of the alarming new IPCC report, detailing action required to prevent 1.5 degrees Celsius of warming. Hindou Oumarou Ibrahim, coordinator of the Association of Native Peul Women of Chad, pleaded for climate action on behalf of her people’s lives, but was given few tangible results. The host venue offered a meat-laden dining menu and lined its walls with plastic cups and jugs of water, juxtaposing the purpose of the conference with blatantly unsustainable practices. I am Overwhelmed. This post was meant to be more positive, and maybe instill a sense of hope while discussing a less-than-cheerful topic. I will get around to that bit in the end, as my experience at COP24 was immensely valuable. For now, though, let me just say: I have struggled to write this blog. Learning about, writing about, discussing the complexities of climate change, is HARD. It is MENTALLY TAXING. There are so many reasons why. In fact, that’s actually one reason right there: it really isn’t just one topic. Climate change encompasses so many issues and movements that I’m finding it impossible to talk about all of it accurately and concisely (in 500 words or less, a guideline you will notice I’ve greatly exceeded). I don’t want to misrepresent any of the science or the social movements involved, because skepticism surrounding climate change is so easy to feed by accident. Even if you explain a given facet of the issue perfectly, there are still a lot of people who will not believe the data presented, or will refuse to buy into the importance of environmental justice. Any imperfection in your presentation can severely damage credibility in this field where no one wants to believe that what you are saying is real in the first place. The goal is to involve as many people as possible in the conversation, so getting the facts straight and delivering the message well is crucial. In order to further this goal, it is also important to be empathetic to the widest possible audience. This is not easy to do in when discussing such a charged topic. There is plenty of blame to be placed, and it is difficult to talk about climate change without feeling anger. This is not to say that we shouldn’t be angry; we absolutely should be. However, I and others in my generation have a tendency to create a narrative around blaming older people for the mess we seem to be in now, and I don’t know that focusing on this is the best way to get support for the environmental movement. Also, while industrial growth over time and its negative effects on the environment and its people are certainly as a result of those who came before us, I can’t fairly say that I would have acted differently in their position. Up until somewhat recently, few members of the general public could readily access the scientific research being done. Even if they could, it was easier in previous decades, for a variety of reasons, to perceive its ramifications as a distant problem with plenty of room for doubt. Of course, when we generation-blame, the anger is often truly directed at past policy-makers, not the general public. However, this point isn’t always made clear amidst the passionate speech-making – which is understandable, given that the nit-picking and caveat-creating I am doing now aren’t exactly conducive to a stirring call to action – and I have older adults in my life who have taken offense to this sort of dialogue and are more prone to discredit the ideas being shared because of it. Generational tensions are just one example of the difficulty in finding common ground in this movement. There are so many ways to shut down a conversation about climate change, something few want to discuss in the first place, by inadvertently alienating someone based on some part of their identity. Of course, such identities can also be used to one’s advantage. We talked a lot amongst the students at COP about being able to relate climate change to people’s personal lives in order to really get them to care. This seems like a promising route to take, and directly rooted in the empathy I believe is so vital to all of this. It does become somewhat difficult to employ, though, when dealing with comparatively wealthy New Englanders, for instance, who aren’t yet seeing direct consequences in their immediate lives. It is much simpler to ignore problems when they aren’t at your own doorstep. So, I have thought a lot, and more thinking can always be done. Eventually, though, I do need to get to the point and act on my thinking. This is much easier said than done. A common theme throughout the environmental movement, and at COP24 specifically, is the hemming and hawing: ‘We must carefully think it all through and make sure steps are taken in the proper order!’ So the conversation goes. 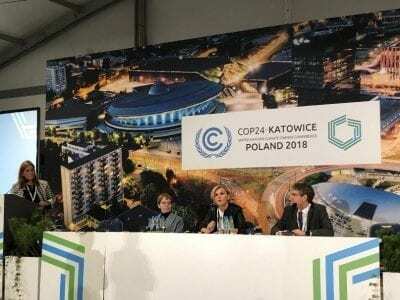 However, as Daniela Jacob, chapter lead author of the latest IPCC report, emphasized as a panelist for the COP24 event “From Science to Policy,” this has been the dialogue surrounding climate change for 30 years – we have thought about it plenty. Even now, this thinking and discussing is being used as a stalling tactic and is perpetuating the “political war” that is standing in the way of true progress. This process is bad, for us and for the rest of the living planet. (Check out a previous OEP blog for a nice summary of the impacts). The time to act is now, and there are many ways for individuals to help. The ones I will talk about next are rather aimed at college students, since such guidance is what I was looking to get for myself out of COP. One specific action to take if you plan to go directly into scientific research is to browse through the sections in the IPCC report titled “Knowledge Gaps and Key Uncertainties” at the end of each chapter. 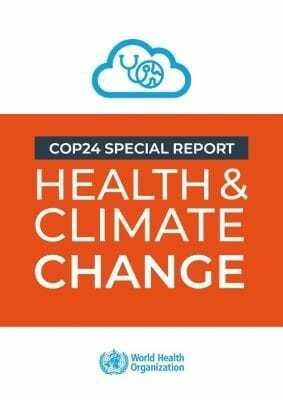 Here, the report includes topics and questions that require further research, some pertaining to atmospheric data, others to the social and political components, and still others to the economic aspects of climate change. I learned about these sections of the report at the previously mentioned “From Science to Policy” panel and was super excited, as this is exactly the detailed plan of attack that I had been looking for upon which to potentially base my own future career. In terms of furthering the movement more generally, and perhaps on a larger scale, there is always the option of taking the knowledge gained from the IPCC and other sources directly to policymakers. One way to do this as a student is by supporting or acting in environmental lobbyist groups. To quote another panelist, Jean-Pascal van Ypersele, “most leaders are not leaders, they are followers.” The onus is on our leaders to enact policies and generally act on behalf of our future, but realistically we must show them why they should act: we will not support them and they will be out of a job if they don’t. Despite my constant internal grappling with all of this – now externalized at the start of this blog! 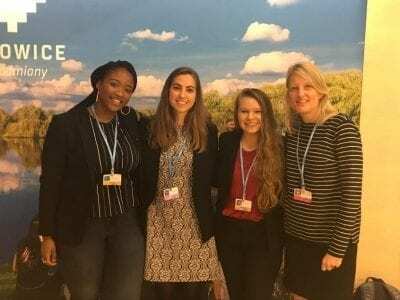 – attending COP24 gave me some hope. There are people out there in positions of power who truly care. Whether enough people are doing enough caring to fix the problem before it is Too Late ™ remains to be seen. However, we have more knowledge and more clarity in purpose than ever before. With our ever-growing scientific knowledge, technological capability and awareness of the social and political effects of climate change, my generation has the potential to do incredible things. Ideally, we will choose to act on that capacity, and humanity will be better for it. Editors Note: COP fellows had the opportunity to visit numerous pavilions sponsored by individual countries which highlighted their unique commitments to addressing climate change. While most countries showcased goals and projects related to energy efficiency and renewable energy, some countries discussed other technological solutions. The following blog discusses one such technological solution to mitigating climate change and its impacts on marine ecosystems. Technology alone is not going to stop climate change. The success of any large-scale movement is contingent on backing from the hearts and minds of the people it is affecting. In the case of climate change, this essentially means that everyone across the globe, or at least those people with direct access to policy (who in turn are backed by constituents… so really, it needs to be everyone) needs to be convinced of the importance of environmental stewardship and of using sustainable technology in the first place. A carbon fiber shell floats at wave height and harnesses the motion-based energy of waves. The last item on the list is a goal for the immediate future of the device, but the conversion of wave energy to coral reefs has been tested and implemented with success. Like all novel technologies, it is important to take all of the above information with a healthy dose of skepticism, and I was initially tempted to chalk this technology up to a flashy sideshow with no real application. After talking with an engineer on the project, though, and doing plenty of individual research, I am quite hopeful for this project’s future. First, the technology they are employing for limestone creation is not new; it is backed by 30 years of research, refinement, and implementation, and is a patented process under a company called BioRock. CCell’s addition to this process is that of off-shore harnessing of wave energy to produce the necessary electricity, and the two technologies work in tandem better than they ever could separately. CCell provides BioRock with electricity on the open ocean, enabling BioRock to have a wider range of applicability, and BioRock gives CCell a secure place to ground their device. CCell technology seems to be about as invasive as a large buoy. It is also quite robust and degrades minimally over time, so concerns about harm to marine life appear to be mitigable. Looking at CCell’s twitter page, they also seem to really care about environmental stewardship, and as a start-up company in renewable energy, are definitely not in it solely for the money. Overall, this technology seems to have a lot of potential on a small scale, and specifically has promise as an energy source and means of coastal protection for smaller island communities. These communities are going to be the most affected by climate change – despite typically contributing minimally to its causes – due to sea level rise, so I have high hopes for CCell. While it will definitely never remotely reach the scale necessary to prevent global warming on its own, my guess is that in the small number of places it reaches, it will have a real, positive impact. For more information, go to http://www.globalcoral.org/ccell-energy-save-coral/ or refer directly to CCell’s website and social media. 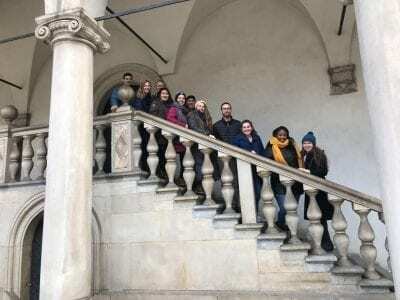 Editor’s Note: At the conference, fellows were excited to learn about the environmental concerns in other countries and get a more holistic view of the issues at hand. Unfortunately, not all nations prioritize the environment. Without effort from each country, climate action is hindered. The blogs below take a look at the importance of international involvement and a few of the countries responsible for delaying action. Walking into COP24, I was immediately struck by the Brazil Pavilion. Decorated with bright colors and large displays, the pavilion is a demonstration of the immense biodiversity and vital ecosystems housed in the region. But after my initial excitement set in, I was reminded that the Brazilian President, Jair Bolsonaro, has decided to take all of this away from the world. Bolsonaro has rebuffed climate change and promised during his campaign to rollback protections on the Amazon rain forest for economic gain. This plan is toxic and because of the significant influence the Amazon has over the environment, will have a rippling effect throughout the environmental community. The Amazon rain forest is a significant carbon sink and one of our most valuable resources against climate change. It can sequester millions of tons of carbon, successfully removing the greenhouse gas from the atmosphere. This is such an important resource and if Bolsonaro goes through with his plans for clear-cutting the Amazon, more action will be required by everyone else to meet the 1.5 degree goal. Following the announcement that the United States would be pulling out of the Paris Agreement, many were worried that it would encourage other countries to pull out as well. Luckily that wasn’t the case, but these sentiments have now resurfaced with Bolsonaro’s election. The extent to which Brazil may influence other countries decisions remains to be seen, but without Brazil’s support, attaining global climate goals is going to be an even bigger challenge. 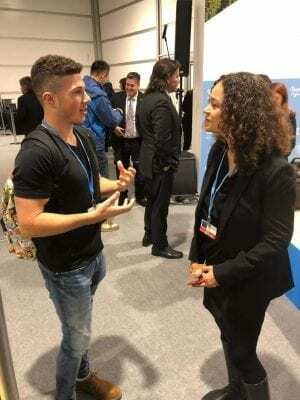 As I’ve been walking around the COP24 venue, I’ve had the chance to talk with a number of representatives from Brazil’s delegation. The sentiment among the Brazilian people certainly seems determined to protect the environment. Even if their president decided not to. Coupled with deforestation being the dominant topic at the side events hosted in Brazil’s pavilion, hope for the future is certainly alive. But action needs to be taken now. With such a strong push back from the Brazil’s federal government, how much can actually be done? Many environmental non-governmental organizations (NGO) that service the Amazon have expressed concerns about their efforts being blocked by Brazil’s federal government. Environmental needs aside, the Amazon is home to a number of indigenous communities. These people are extremely vulnerable to climate change and without help and advocacy from NGO’s, will likely suffer the consequences. Jair Bolsonaro, like Donald Trump, is a danger to the environmental movement and will likely hinder climate action progress. With such control over the Amazon rain forest, the ball is in his court. Based on my conversations at COP24, I’m confident that the Brazilian public and the global community will do all they can to preserve the ecosystem. But that doesn’t mean that I can rely on others to block his policy. While Bolsonaro is in office, there’s always going to be environmental threat and it’s critically important that we all stay informed. Who should have a say in climate negotiations? On the first day of the COP 24 conference in Katowice, Poland, I attended a panel discussion on global climate action. The panelists were Patricia Espinoza, the Executive Secretary of the United Nations Framework Convention on Climate Change (UNFCCC), Michal Kurtyka, the COP 24 President, Arnold Schwarzenegger, American actor and former Governor of California, and Hindou Ibrahim, an indigenous leader from Chad. All of the panelists spoke about what needs to be done to reduce greenhouse gas emissions and keep global warming below 1.5 ℃. Arnold Schwarzenegger offered solutions that sounded familiar to me as a citizen of the United States: drive electric cars, turn off the lights when you leave a room, reduce your meat consumption, and use LED lightbulbs. He sees climate change as an issue that world leaders and the UN cannot fix without the help of the common citizen, an idea that people in the developed world are generally in agreement with. To my surprise, Hindou Ibrahim did not agree with him. In response, she explained how people from Chad and other developing nations are already suffering because of the effects of climate change, even though their countries did not contribute to the excessive carbon dioxide emissions that are causing climate change. Her opinion was that real, meaningful change needs to come from governments and policymakers. She used the California wildfires as an example. During the panel, Arnold Schwarzenegger had talked about how California was fortunate to have assistance in fighting the fires from surrounding states as well as Canada. Hindou Ibrahim pointed out that, had a similar climate-related disaster happened in Chad, they would have had no additional resources and no outside help. Rebuilding their community and re-establishing their culture without the resources available to California would be nearly impossible. After the panel, several other UConn students and I had the opportunity to talk to Hindou Ibrahim. She was very kind and willing to talk to us, because she believes that it is critical for young people like us to be involved in climate policy. When we asked her what she thought could be done to decrease the impact of climate change on developing nations, she explained that policymakers should not be searching for climate solutions without consulting countries like Chad, where the impacts of climate change are different and usually more severe. Hindou Ibrahim wants indigenous leaders like her to have a bigger platform to speak from and negotiate, because, unlike Arnold Schwarzenegger, she believes that the solutions need to come from world leaders. The difference in viewpoints between Arnold Schwarzenegger and Hindou Ibrahim was an eye-opening example of how people from developing and developed nations approach climate change differently. In nations like Chad, climate change can be life-threatening and yet there is not much the average person can do to curb it, especially because carbon emissions are usually already low. In nations like the United States, where carbon emissions are high, we often turn to solutions like Arnold Schwarzenegger posed in hopes that we can make a difference. Through the personal stories that Hindou shared, I understood that people in the developing world need to rely on their leaders to advocate for them. Hindou’s presence on this panel made me hopeful that the UNFCCC has also realized that developing nations need to be more involved in climate negotiations, and that we will see better solutions for these countries throughout the rest of the COP 24 conference. The location of the climate conference this year may have been a surprise to many people, as the country is not known for its climate action. Katowice, Poland was once a place where coal was mined and shipped to nearby power plants to burn for energy. This legacy of a post-industrial coal operation is still evident in the city and in Poland in general. 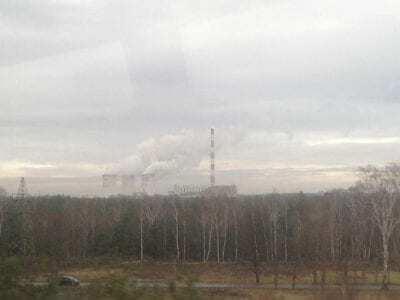 On the bus to the conference between Krakow and Katowice, billowing clouds of smoke and particulate matter from the combustion of coal can be witnessed, horizons are smudged by smog and the smell of combustion extends cities away. 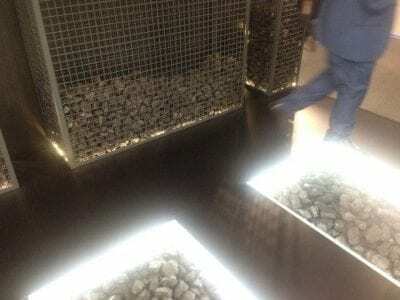 In the conference itself, the theme of coal is promoted, with selling of coal soap and displays of coal within the Katowice pavilion, causing great disbelief. Poland delegates here defended the coal usage of their country, questioning, “the United States burns coal too, doesn’t it?” as a means of justifying the action. This kind of attitude is not shared by all generations of Polish people. 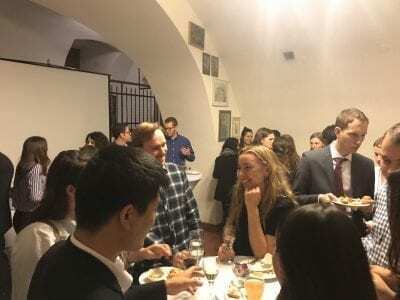 After asking a Polish master’s student at a networking event about coal, he acknowledged that most of the energy in his country is derived from the dirty fossil fuel and progress towards the NDCs and cleaner sources of energy (solar panels, thermal heaters, electric vehicles, etc.) is too slow for his liking. The issue of coal burning and making insufficient progress towards Nationally Determined Contributions, however, is not so simple. The woman at the Katowice pavilion was partially right: other developed countries, especially the U.S, cannot point blame at certain nations that burn coal (the worst in terms of CO2 emitted) while also burning coal themselves. We all need to hold each other responsible, and especially citizens with their own governments. Additionally, the coal industry in Poland employs tens of thousands of people and therefore has a lot of power as well as support of many citizens. This situation makes large scale change difficult, especially if those changes are affecting peoples’ livelihoods. What we need is a phasing out of fossil fuels, letting the older fossil fuel workers retire, make renewables more accessible and economically viable and retraining the younger employees in a greener energy sector. This, combined with a kind of mandated program in a carbon tax or dividend form, would be most effective for real change. With the contrasting sentiments of heartening passion and bleak hopelessness fighting for dominance as takeaways from COP24, I’ve found myself searching for the solutions that are making headway where policy and international agreements are not. The new “rulebook” for implementing the 2015 Paris Agreement, which recently passed at the end of COP 24, is a good start, but it does not provide the type of legally binding and stringent structure necessary to reduce emissions in order to avoid drastic consequences for the earth and people living on it. For example, the market mechanism section of the Paris Agreement rulebook text could not be resolved and has been pushed to next year’s COP25 in Chile. One of the integral parts of this hang-up was agreement on voluntary carbon markets – the trading of emissions reduced beyond each country’s climate pledge – and their use as credits by other countries that cannot meet their pledges (or, from an economic efficiency standpoint, by countries that have higher costs to society of emissions reduction). I attended a side event at COP24 on how to fix the problem of double accounting of carbon emission reductions. It was relatively technical, but it became fairly clear that solutions were possible, known, and agreed upon across disciplines and countries. And yet, Brazil has been blamed by many for the postponement of what appeared to otherwise be a logical fix to the double counting issue. This delay has a negative ripple effect, impacting various trading schemes and initiatives that use language dependent on Article 6.4, which was expected to replace the Clean Development Mechanism of the Kyoto Protocol. So, if agreement on important policy is moving too slowly, what steps can be taken sooner to ignite reliable, continuous change? More research in energy efficiency? Greater efforts to recycle? Regarding the latter, a recent episode of “60 Minutes” on CBS cast doubt on the reality of recycling plastic—possibly 2/3 of American recycled plastic is sent overseas (until recently to China), where its ultimate fate – landfilling or recycling – has been and remains difficult to ascertain. CBS also detailed a 3 million dollar project to clean up the Great Pacific Garbage Patch, a project that has been compared to “mopping up a flooded bathroom but leaving the tap on.” To put this in perspective, COP24 handed out plastic reusable water bottles and other “swag bag” items with plastic packaging. Other popular movements such as banning plastic straws are important steps on the way to behavioral change, but are ultimately miniscule shifts compared to the change necessary to prevent climate catastrophe. Like most social, politics and economics issues, reversing climate change requires nothing less than a complete shift in our social system. And activists are not the only ones who recognize this – the scientifically advised reductions in global carbon emissions reflect a dismantling of consumption culture (the very existence of “swag bags”). The reality is that the kind of lifestyle promoted as the norm in America, and coveted by many across the globe due to the United States’ global influence, is not only impossible for other countries to attain, but also unsustainable for the planet. As the effects of climate change continue to accelerate sea level rise and exacerbate extreme weather events they will also disrupt the systems that prop up the American story of consumption. How soon this will happen is relatively uncertain, but indigenous populations that have existed far longer than ours are already being destroyed due to the unjust way climate change more severely impacts those with lifestyles that have contributed least to the problem. If there’s anything I can take away from this conference to fight the despair, it is that I need to live more realistically, in a way that reduces my consumption and encourages others to do the same. Changing a culture of consumption means change through education and outreach, especially focused on younger generations. Overall, making living a simpler life ‘popular’ could prove to be the most productive step towards change. “COP24: Key Outcomes Agreed at the UN Climate Talks in Katowice.” Carbon Brief, 16 Dec. 2018. Editors note: Our COP fellows were quick to realize the importance of economics when it comes to solving global issues. Climate change is expected to impose an economic burden on every country, and unfortunately, some will be unable to cope. The following blogs discuss the economic complexities of climate change. The most thought-provoking aspect of my first day at COP 24 related to a discussion that was organized and facilitated by climate justice activists. This was fortuitous for me. I was eager to speak with activists who are associated with a movement that I’ve been studying and have an affinity for. Climate justice primarily refers to a heightened concern for marginalized people who are experiencing the most severe burdens associated with climate change, and an orientation, ranging from criticism to rejection, of climate change policies that entail market-based or capitalist approaches (e.g. cap and trade, carbon tax). Some climate justice activists entirely reject the United Nations’ climate change governance efforts, viewing it as a disingenuous pretense to address climate change, one that is foremost intended to preserve and promote the exploitation of market-capitalism. This has puzzled me for years. For those climate justice activists who reject market-capitalist systems, what alterative policies or political economic arrangements do they advance to address climate change? I argue that addressing climate change should be a multi-faceted global endeavor, one involving science-based research, politics, economics and cultural factors, and including some form of carbon pricing. I further believe that any carbon pricing regime will be subject to manipulation, but it’s a situation that calls for continual assessment and reform rather than complete rejection. I joined a discussion that was in session upon entering the climate hub. At a seemingly opportune moment, I asked the facilitators-climate justice activists about their thoughts on cap and trade. The interaction did not go well. My question prompted eye-rolls and scorn from both facilitators. I tried to salvage the interaction by conveying a sincere desire to better understand them but was unsuccessful. 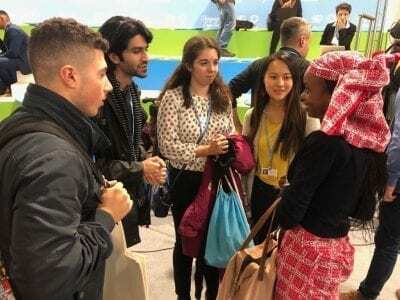 I initially felt puzzled, frustrated, and insecure by the interaction, but my first day at COP 24 was a positive learning experience. The activists provided insights regarding my questions – the two activists I met stated that they reject capitalism but offered little suggestion regarding alternatives. Also, it’s tempting to point a finger, but important to consider how I may have contributed to the awkward interaction. I joined the discussion while in session and missed the introduction and directions; I’m not trained in interview methods, and possibly failed to ask my questions in a more tactful manner; also relevant, the facilitators at least twice mentioned being “exhausted” from offering explanations to “patriarchy…[from the] global North,” a sentiment that seems understandable in light of their probable life experiences. Based on reflection and input from others, the activists and I had topically related but differing objectives – they likely sought expression while I was focused on policy. During my time at the COP24 Conference I had the opportunity to sit in on a few presentations regarding green finance. As a student with minors in human rights and business, I am particularly interested in how the private sector plays a role in tackling climate change. 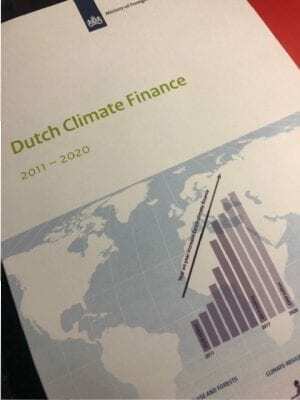 At the COP, the Netherlands pledged €100 million ($125m) to the Green Climate Fund (a fund created by the UNFCC focused on funding climate change issues), while other nations like Germany and Great Britain expressed great support for green finance options. While at the Netherlands pavilion, there were a multitude of presentations regarding climate finance options in their nations. In one particular presentation, there were discussions by various companies that advocated for innovative ways to monetize climate change solutions. Some explained the growing field of smart houses that use energy efficient materials, while others were much more obscure, including a dating app that paired environmental “wasters” and “savers” together. Investment in climate change solutions has become a large part of the conversations, because without the actual monies going towards addressing climate change issues, there is no way progress could be made. There was a great presence of both multi-governmental funds like the Green Climate Fund, as well as private corporate funds focused on reducing greenhouse gas emissions, and investing in energy efficient infrastructure as well as carbon reduction practices. I was grateful to be able to see such a large presence of these funds, and left the COP hopeful that there were multiple parties in multiple sectors that see climate change as a good place to put their money. In the end, the onus for climate change solutions is not just on governments, it falls on the private sector as well to contribute to reducing climate change impacts. Climate change solutions cannot happen without governments, companies, and people investing their time and dollars into creating change. Are we changing? Yes. Can we change? Can we listen? Heading to the COP24, I was hoping to find new ideas and insights within the field of environmental economics and policy, but I realize now I had subconsciously put my expectations for those new ideas within the familiar frameworks of thought and governance I was comfortable with. As a result, the most meaningful parts of my experience at the UN’s Climate Summit in Poland have been interactions and conversations with people with rather different perspectives from my own. During a Climate Hub workshop entitled, “Women for Climate Justice: Local Struggles, Global Actions,” we were led through a meditative contemplation and drawing of the “territory of our bodies.” To invoke contemplation, the facilitator asked us how and where we felt the impacts of climate change and its potential solutions, including poverty, water scarcity, renewable energy, collective action, and ‘extractivism’ (the first time I had encountered the term). 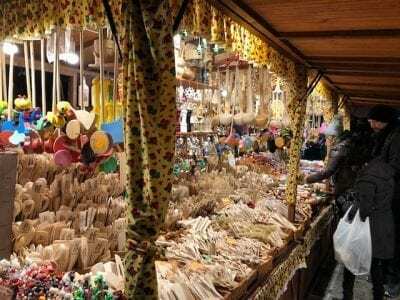 As an example, the leader of our guided contemplation shared “market solutions” as something that greatly troubles her. Market solutions make up a significant portion of what I have been studying thus far (with a large exception perhaps being independent study of behavioral economics). Naturally, her statement prompted me to take a renewed look at the conflicting ideologies about the best ways to combat climate change. This a conflict I have examined more closely this semester through the juxtapositions of my resource economics classes and an English class on the history and human experience of capitalism. The most rewarding part of the COP so far was putting these thoughts into active conversation. Being a young student of environmental economics and policy, I often find myself shying away from conversations because I feel I don’t have the confident perspective and experience necessary to provide valuable contributions. But just as the uncertainty surrounding climate change cannot be a reason for inaction (a point reinforced by Linda Mearns, senior climate scientist for the IPCC and NCAR, who shared how we make decisions in the face of uncertainty every day as a guest speaker at the UConn@COP “breakfast club” discussion), insufficient knowledge cannot be a reason to avoid conversation—at the very least, it may inspire greater self-education. 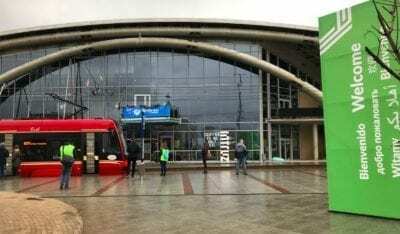 I found an opportunity to discuss these very ideas with a fellow workshop participant from Portugal on the bus ride back from the COP24 venue to Krakow. Like many in the climate change field, he came from a perspective that sees capitalist ideas as inherently incompatible with combatting climate change. He believes that placing monetary values on the environment is unrealistic, and over-simplifies solutions to the climate problem. I’m not sure yet where I stand exactly on these issues but we definitely disagreed in many ways. We challenged each other’s logic and understanding of different societal and economic systems. In fact, I was so distracted by this engaging conversation that I left my passport behind on the bus! (However, there was a happy ending as I was able to retrieve my passport and other belongings – Polish bus dispatchers and the COP24 volunteers are incredibly compassionate). The complexity of the conversation only reinforced my belief that the solution is far from simple. But people like my Portuguese friend have a point. A common idea expressed (often with exasperation) by speakers and observers alike at the COP24 conference is that this is COP…24. It has been 24 years since the first UNFCCC conference to collectively take action against climate change and, despite a recent period of stable emissions, they have begun to rise again, as has the movement of climate change denial. And so it is rather eye-opening how it required my visit to the heart of the global climate change debate to see, firsthand, the stagnation we are so desperately trying to break free from, before it’s too late. I have a greater appreciation now for the value of organized social movements and civic unrest such as that of Extinction Rebellion, a global movement represented at the Climate Hub. With the normal avenues of change proving as yet to be too slow, being at the COP forces me to recognize the importance of this type of protest and action towards changing human behavior. As someone interested in studying human behavior from an economic standpoint, I tend to focus on questioning the efficacy of change-making mechanisms, like organized protests, in altering policy and actually impacting society. But this perspective is, in and of itself, an expression of aversion to change and reliance on traditional systems of progress. Therefore, even though I still am deeply interested in environmental economic policy research, I recognize the way in which a desire for climate action can be communicated much more effectively outside government systems, and I will put this recognition to use in my plans for future environmental economic research. At the very least, conversations between people of conflicting ideological social circles are necessary—and most of society agrees on this—but the question of how to have conversations that are more than “sounding boards” remains. Many of the Climate Hub workshops I attended on feminism and intersectionality in climate change never surpassed a shallow level of sharing to the deeper level of give and take that I had hoped to experience. As one participant lamented in the wrap-up, the conversation remained distant. 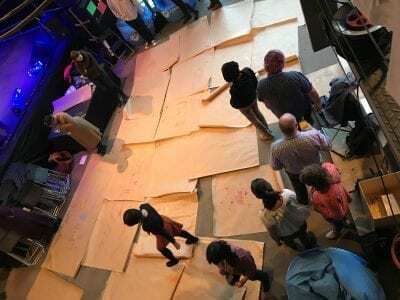 But I found that the “territory of our bodies” workshop proved the most productive in inspiring conversation and sharing by providing a common ground of others’ often similar interpretations of the personal impacts of climate change. Just as behavioral economics works to better represent the often-flawed nature of humanity, sharing personal stories from a starting point of some common perspective appears to be a vital part of the shift towards actively reducing the effects of climate change. A central theme to the COP24 UN Climate Change Conference was the need to switch from a fossil fuel-based economy to one grounded in renewable energy. For instance, in the photo above, Dr. Maria Neira, Director of Public Health, Environmental Health, and Social Determinants of Health for the World Health Organization, is imploring for the need to switch to renewables, citing that the health costs saved from mitigating climate change will be double the cost of actually mitigating climate change itself. There are many critics of renewables, however. These opponents insist that renewable energy is too expensive, relying on hefty government subsidies to be viable. Moreover, they argue that renewables are not reliable given variations in weather between locations and even at a specific location. COP24 showed that great strides are being made to thwart these criticisms. The cost of renewable energy is plummeting faster than anyone predicted. New solar energy is already cheaper than building new gas plants with projections for new renewable energy to be cheaper than existing fossil fuel plants in nearly every country by the mid-2020s. This renders the cost-effectiveness argument against renewable energy invalid. Additionally, Dr. Iain Staffell from Imperial College London helped address the issue of variability in weather between regions. He created a tool called the “Renewables Ninja.” The Renewables Ninja is an interactive map showing the potential of solar and wind energy across the world. It is free to the public and helps individuals and businesses choose the optimal renewable energy option for their location. The public availability of this information is an immense breakthrough toward the adoption of renewables on a global scale. Finally, Danielle de la Cour, Senior Project Manager for The Ecompany, is taking on the issue of reliability of renewable energy. The Ecompany provides a marketplace for private industry to secure contracts with renewable energy producers, working to facilitate the matchmaking process based upon the needs of each client. These contracts that lock in price and production level are extremely valuable to both the producer and the business purchasing the energy. The buyer wants to fix its costs and secure a guaranteed energy supply for the stability of its operations, and the producer can utilize the contract as leverage to convince banks to finance expansion given the guaranteed income that would come from the increased production capacity. Further, this marketplace eliminates the need for traditional energy brokers, which Danielle described as expensive and inefficient. The Ecompany eventually plans to integrate AI to help companies find the ideal energy plan to meet their individual needs. 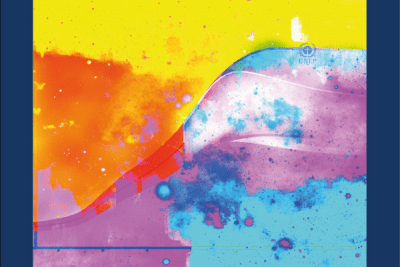 The Ecompany and Renewables Ninja highlight the progress being made toward disruptive change in the energy sector, providing hope that the vision of Dr. Maria Neira and other climate activists can one day be actualized. Editor’s Note: Climate change is not strictly an environmental issue. 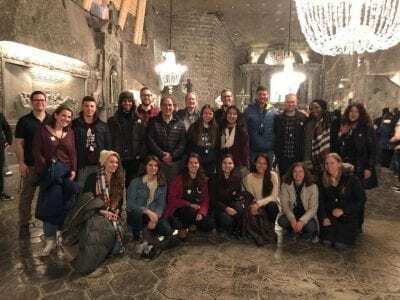 Many of the UConn@COP24 fellows took a human-centered approach to climate change and noticed the significant intersection between people and their environment. The blogs below detail their experiences and represent the diverse voices present at COP24. 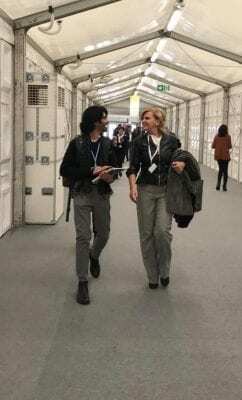 On my second day at COP24, I attended a side meeting regarding the intersection of gender and climate. The meeting was particularly focused on the progress of the Gender Action Plan and the Lime Work Programme. I learned about the steps that have been taken to provide “gender responsive” climate solutions that focus on helping women and girls adapt to climate change effects particularly with regards to water and agriculture resources. Seniors, Leann McLaren and Jessica Weaver meet with U.S. Department of State delegates to discuss the Gender Action Plan and Lima Work Programme. When the meeting commenced, delegates from Malawi and Costa Rica voiced concern over the lack of meetings between full delegation meetings. They asserted the need for funds for women and girls in the countries represented by the Least Developed Countries (LDC) Group because they are disproportionately dependent on climate-sensitive resources for their livelihoods. I was able to view all of the interactions while sitting behind delegates from the United States. After the meeting closed, I asked the two delegates about their occupations and how they felt about the COP itself. Both worked in the Climate Office of the State Department and expressed their admiration for the large amount of students that were attending and participating in the dialogues that had already ensued. They also conveyed their satisfaction with the meeting proceedings and the importance of being a part of the negotiations to continue these projects into the coming years. I thoroughly enjoyed the experience and am glad I was able to not only witness a glimpse of UNFCC proceedings, but also see a possible career avenue in the future. These negotiations are crucial not only for addressing the gender aspect of climate change, but for creating comprehensive dialogue for climate change solutions in COPs to come. Our climate is on fire and it’s time we all step up to put it out. Forest fires seem to be a hot topic these days. Especially because this year’s wildfire season has been the most destructive on record, internationally. Internationally. If you googled “2018 wildfires” the headlines are all about California. The wildfires alone in California emitted a year’s worth of power pollution. But what is happening at the other side of the world? 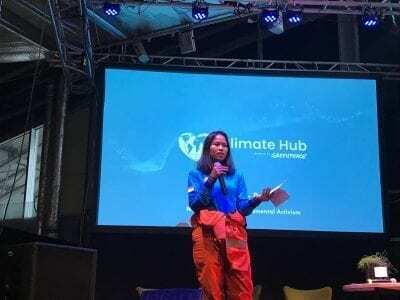 At the climate hub, I had the opportunity to listen to stories about the impact of forest fires on the climate from volunteers and leaders from Greenpeace. As we sat down in our seats, a man named Anton Beneslavskiy walked up on stage. A picture of black smoke clouds appeared on the screen. The slideshow progressed to aerial shots of forests engulfed in flames. He looked outside his window one morning in his city. The smog was so dense in the air that he could not see anything more than 50 ft away. In that moment, he knew something had to be done. He quit his career as a corporate lawyer and joined Greenpeace. Another woman walked up on the stage. She was wearing a bright orange jumpsuit covered with smoke stains. The images of forest burning appeared on the screen again. In her 20s and standing about 5’3’’ tall, Larasati Wido Motovani, explained that she has suffered from upper respiratory diseases since she was a child. Lara’s from Indonesia and this year alone they’ve had countless wildfires. She glanced at the picture behind her and couldn’t speak. 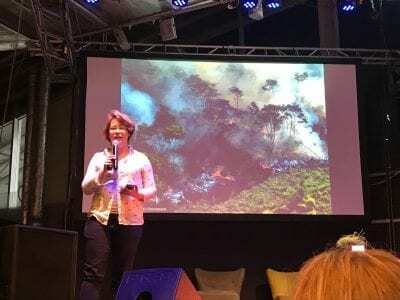 Tears started welling up at her eyes as she struggled to tell her story about how she leads groups of people to put out wildfires in her country. 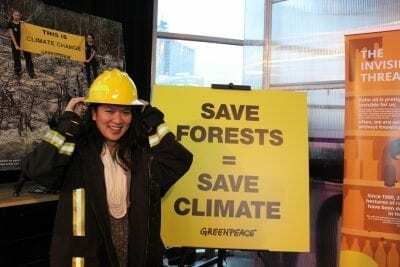 These two leaders from Greenpeace are volunteer firefighters who changed their career paths to take action against climate change into their own hands. There is constant discussion on what needs to be changed, but most people are oblivious to the global effects. The California wildfires are arguably the most destructive climate related disasters this year but the attention has only been on them. This garnered aid from surrounding states and Canada to assist with putting out the fires. Yet, what about in Russia and Indonesia? And the rest of the world? As I listened to their stories from a place of privilege, where I can breathe relatively smog free air in Connecticut, I now recognize that climate change action needs to be on the top of everyone’s priorities. Especially for those who may not face the immediate effects of climate change on a daily basis. We need everyone to start talking about climate change and bring the voices of those who are affected the most to the forefront. Climate Change: The Faceless Genocide? 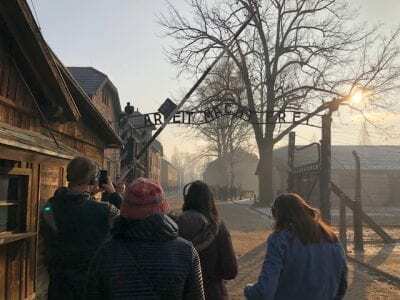 On the morning of December 2, 2018, we made a trip from the city of Kraków to the town of Oświęcim, best known for being home to Auschwitz Concentration Camp. Although I knew that touring the camp would be a sobering experience, I was not prepared for what ensued. As we exited the bus to enter the gates of Auschwitz-I, it was immediately clear that an unfathomable tragedy had occurred there. The air was cold, the sky grey, the tone somber, the landscape lifeless, and the emotion overwhelming. The three-and-a-half-hour tour of Auschwitz-I main camp and Auschwitz-II Birkenau camp not only revealed the ruthless crimes against humanity that had taken place there but contextualized the individual experiences of hundreds of thousands of Jews during one of humanity’s worst genocides. As we left the camp to return to Kraków several discussions followed; however, the most powerful one was the parallel between the Holocaust and climate change—an idea I had never considered. One student explained how the Holocaust was undoubtedly a crime against humanity with clear perpetrators; however, climate change, a change that causes hundreds of thousands of deaths a year, despite being understood to have anthropogenic origins, is often overlooked as the same. 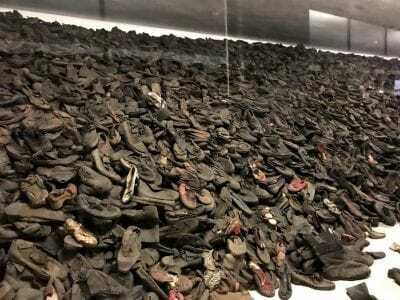 Shoes, clothing, and anything of value were stripped from Holocaust victims by Nazis upon arrival to Auschwitz. The following morning, we reconvened for our first breakfast club in preparation of our first day at the COP, and the conversation continued. Soon the parallels between the Holocaust and climate change became apparent prompting the question of why people are not held accountable for the same devastating loss of life. Research has clearly demonstrated the role of humans in the global rise of temperature, and it has been suggested that 200,000 deaths a year are linked to climate change, a number that will continue to rise as the earth warms. Yet, people, especially the CEOs of large companies and those with great political influence who contribute the most to climate change, are not implicated in the same way for the loss of life as Hitler and Nazi Germany were for the holocaust. Why? Perhaps it is because the source of climate change cannot easily be pinpointed to a single person or group of people with a shared identity. Or maybe because we are still too naïve or ignorant and have not realized the truth about climate change—it is a faceless genocide. But if we do not realize this right now, it will be on us to repent to our children for the crimes we committed or idly allowed to be committed against humanity. While thinking about this, I recalled learning about a Nazi resistance group called the White Rose. The White Rose consisted of German college students during the holocaust who realized that they as Germans would be held accountable for the incredible loss of lives from crimes being committed by Nazi Germans around them. Although the students were not Nazis, they understood that future generations would implicate them for the same crimes committed by the Nazis if they did not take action to stop it. As students, they had perspective and were able to mobilize a movement against Nazi Germany throughout Europe. Throughout my time at COP, one thing became clear: we as young people have the perspective and ability to catalyze change right now. And if we do not, it will be on us to answer to our children for the crimes we allowed to occur. 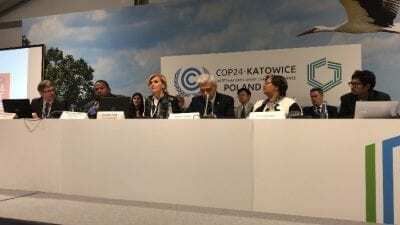 The COP24 experience was one that came with inspiration, hope, but also frustration. The first day that I had full access to the conference, I noticed that many of the events highlighted the “glamorous” messages that “renewables are cheaper and come with very few consequences” and that “a carbon tax will provide economic incentives and will pay itself off.” While, in hindsight, there is some truth to these messages, I found that many of these presentations failed to incorporate intersectionality and the humanity to these solutions. In one panel about the myths of renewables, I found myself wondering if those praising this transition were considering those who have been working in the fossil fuel industry and will need to find another source of income. I had trouble accepting the fact that many people already being directly affected by climate change were reduced to statistics. It wasn’t until I fell upon a panel about youth activism that I finally felt hope for meaningful systematic change. These panelists discussed the Talanoa dialogue, a term coined by the Fiji delegation in COP23, which recognizes the need to connect together as a global unit and share our stories in order to achieve our climate goals. As one panelist stated, “I have heard very few policy makers actually share their story.” The panelists stressed the importance of utilizing our creativity to create empathy, share stories, and internalize climate change issues. I found this to be a refreshing take on the climate change movement—one that made me reconsider how we must tackle our impending world crisis. I was so moved by this panel, that I started crying when I went up to thank the speakers for providing an often overlooked, but important perspective. 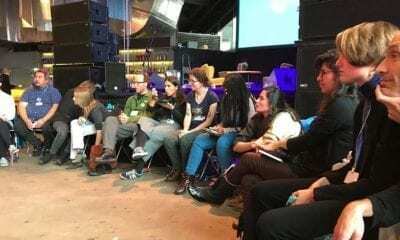 The day after talking to these panelists, specifically to Jean Paul Brice Affana, a climate change activist, I was emailed and asked to speak on a panel to talk about intergenerational dialogues and youth activism. This incredible opportunity made me recognize even more how important it is to make connections and share our stories with each other. 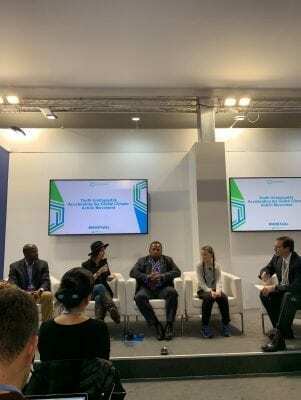 If I had not reached out and shared how much their panel meant to me and connected to my passions, I would not have been able to have the opportunity to talk on a UN panel at COP24. After this experience, I feel more confident about my pursuit of climate activism and inspired to share my story and fight for other stories to be heard. I am excited to become more of an activist on campus and hopefully empower others to make change.